Alison Brooks is the recipient of the 2014 Medal for Professional Achievement. 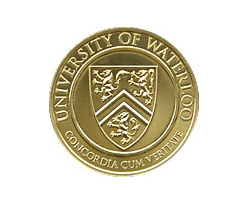 The Faculty of Engineering Alumni Achievement Medal program was established to recognize the accomplishments of Waterloo Engineering alumni on the world stage. This prestigious award, created in 1994, was established to provide tangible recognition of alumni who have distinguished themselves through their professional achievements, community service or academic excellence.